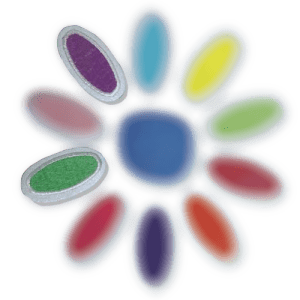 We would love to work with your troop as they begin their Girl Scout Journey and help them to earn two of their petals: Vi’s Purple Petal and Clover’s Green Petal. Each workshop is an hour and a half long program led by one of Appel Farm’s professional teaching artists in our art studio. You may also utilize our designated meeting room for a 30-minute period after the workshop for snacks or to hold a meeting. One of the most important values of the Girl Scout Law encourages all Daisies to “Be a Sister to Every Scout.” Daisy troops can choose between working collectively to create a group mural about your interpretation of what sisterhood means to you, or creating individual memory books filled with images and words about their fellow troop sisters. Daisies will explore common recycling materials and discuss reasons why artists often use those items in their artwork. The troop will generate a list of materials that they could reuse/repurpose for creating art and will talk about the advantages of using recycled materials for creating art and how it effects the environment. Troops can choose between creating their own collage on masonite panels with both recycled materials and artistic embellishments or printmaking with recycled materials.